San Pedro High School students Shanelly Gutierrez, Caroline Sersland, Alan Ayala, Rachel Alamilla and Josani Balam won the 2018 Ministry of Education’s Youth Innovation Challenge competition, sponsored by Price Waterhouse Cooper and the international non-profit organization Peacework, at the Marion Jones Sports Complex in Belize City on Wednesday, May 9th. 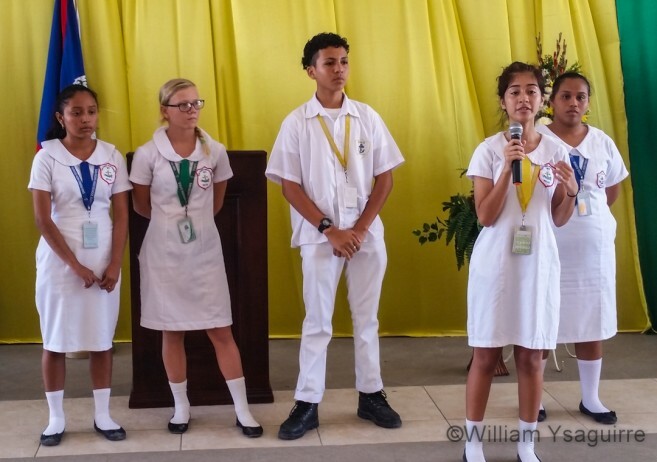 The SPHS’ students’ innovative idea for their “Destination Tomorrow” project offered a cost-effective solution to simultaneously solve a major environmental problem plaguing Belize as a tourism destination, and earn cash! They proposed to clean up their island by recycling all the plastic bottles littering the landscape and floating up on the beaches, and to turn this plastic waste into cash by selling the bulk raw plastic to Bowen & Bowen Ltd, an environmentally corporate partner who already recycles all their own plastic bottles. This proof of their financial literacy won the students first prize; each received a $750 cash prize and a tablet computer from Education minister Hon. 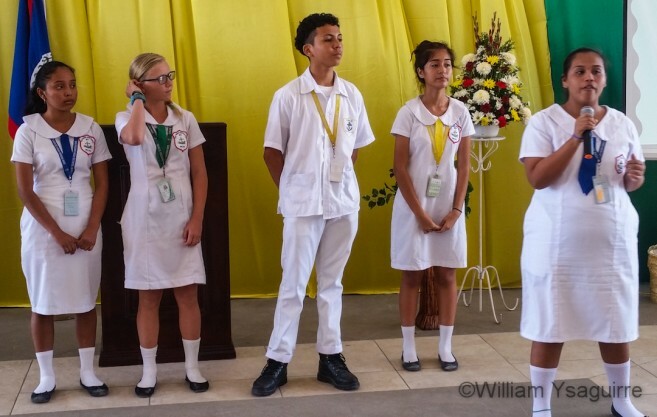 Patrick Faber, in the awards ceremony at the end of the competition. Their school also received a Canon printer. 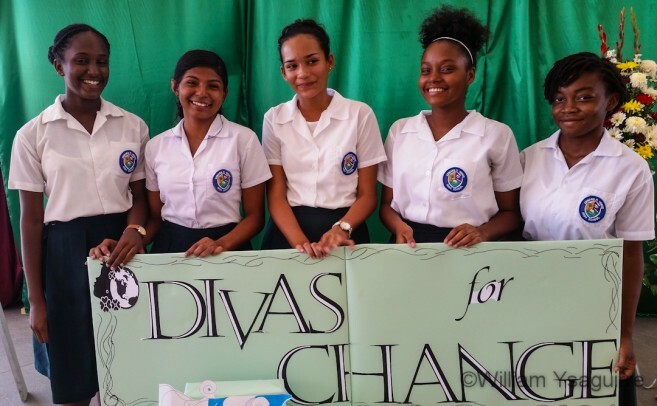 Edward P. Yorke High School’s “Divas for Change”: Rosa Hernandez, Rosalinda Gonzalez, Leilani Morales, Danielle Mohamed-Ali and Antonisha Gibson won second prize, each received a $500 cash prize and a tablet computer each, and a Canon printer for their school. 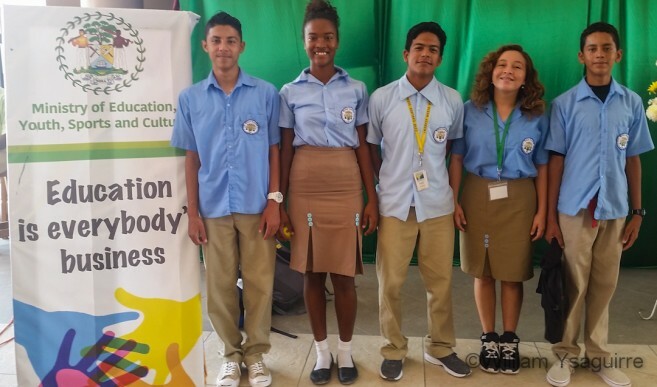 For the first time in the five year history of the competition, there was a tie for third place winner, as the competition was close, with all school team producing imaginative and creative ideas to improve financial literacy for the economic success of the nation. The Ocean Academy of Caye Caulker and Belize High School tied for third place, and both teams won computer tablets and a $250 savings account for each member of their teams, and the schools each received a Canon printer. 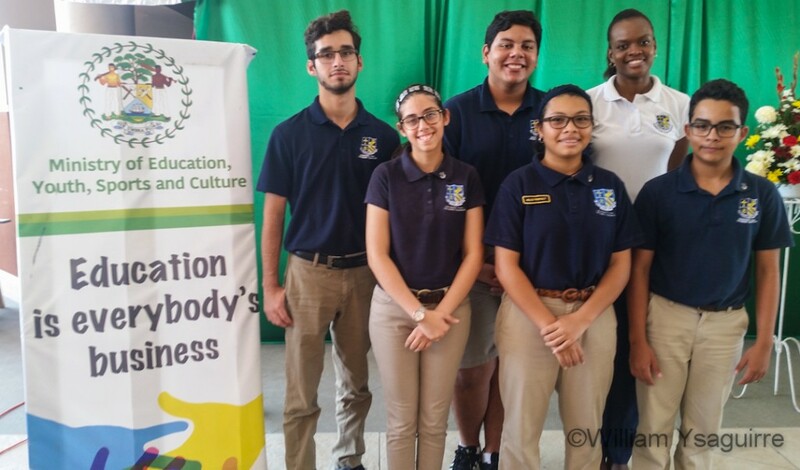 The other 5 participating schools each received a $1,000 scholarship, which each school will award to a deserving student. 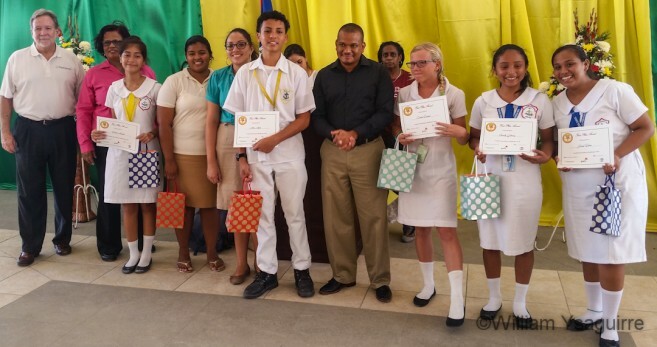 These schools were: Anglican Cathedral College, Gwen Lizarraga High School, Ladyville Technical High School, Sadie Vernon Technical High School, St. Catherine’s Academy and St John’s College.